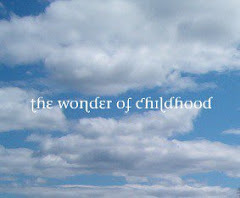 Carrie began this conversation with a beautiful outline of three artistic pillars of Waldorf home education: Drawing, Painting and Modeling over on her blog, The Parenting Passageway, much of which she has discussed over the years, relative to many aspects of the curriculum in earlier posts on her blog. It got me thinking. Over virtual tea, I suggested we bring in Speech, Movement, Singing and a musical instrument, Drama and Handwork. 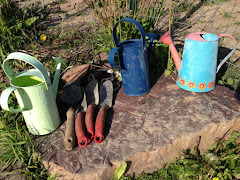 Carrie responded with a post about the importance of bringing in the twelve senses to the discussion of Waldorf education through the curriculum and the importance of practical work. Yes! Let's explore the senses and the curriculum. The Waldorf curriculum incorporates nourishing elements of all twelve senses with a different focus at different stages of development. This applies in homeschool or school school, the senses are very important for human development, for in developing a sense, the energy around it is freed to later develop another sense, a "higher" sense that needs a strong foundational sense to rest upon. The Twelve Senses correspond with the development of the human being and can be grouped in three categories: Thinking, Feeling and Willing. We often speak of the soul capacities of Thinking, Feeling and Willing. With Waldorf Education we refer to the education the head, heart and hands. Each of these capacities corresponds with sensory and human development and each seven year phase of development corresponds with one of these capacities. For it is through our senses that we perceive the world. If we have distortions or impeded development in our senses it will color how we take in and relate to the world around us. Anyone with a child who has sensory challenges may have had an experience in which the child's response to the situation does not always make "sense" (there it is again ~ sense) unless we know something about the child. For example, a six year old boy in a kindergarten classroom of seventeen children is busy playing as the noise level in the room rises. This child is very sensitive to sound. Suddenly for no apparent reason he heaves a block across the room, not at anybody and not in response to children around him. It is the noise level that has risen, he is overwhelmed, he does not yet have words to express this so he heaves the block. The teacher, bless her heart and her deep wisdom, knows this child is overwhelmed by the noise and responds by opening the door and gives him permission to check on the hens in the garden and bring them a treat. She knows. But to someone who does not have this understanding the behavior might seem troubling and get in the way of connection and harmony in the classroom. In the first seven years of childhood the focus is on developing the Foundational Senses or the Sense of Willing, the metabolic limb focus: Touch, Life, Self Movement and Balance. Within each of these seven year stages of development are phase of development of metabolic-limb growth, rhythmic development and nerve sense development. To this list of eight pillars and twelve senses, Carries adds practical work and the inner work of the parent teacher, ti which I say yes! One advantage we have with homeschooling is that we can take this pillar of practical work which in the school manifests Handwork and Craft Curriculum and expand it to include chores through the day and through the week, active participation in the practical work of life through all the grades. Carrie has written about this. Liza Fox has written and shared a beautiful post . I have written about it . To this bedrock of practical work and the inner work of the adult that Carrie is suggesting, I feel like we need to bring in Rhythm and Nature. And Play. And all this on a foundation of strong connection with the child. Oh gosh, so much more to say. But I need to get on with my day, with my homeschooling and Christmas preparation so for now goodbye. I love to find your comments. If you have examples of your work out of the Artistic pillars or Senses you'd like to share please link to your site in the comments here and over at The Parenting Passageway. And please chime in, how do these endeavors manifest in your homeschooling? or school schooling? Thank you so much for this beautiful post. It really struck a chord within me today! I am so grateful, Lisa!